Re-assessment of Mangroves in Maribojoc Bay – PROCESS-BOHOL, Inc. 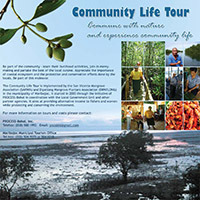 Effective April this year until March next year, PROCESS-Bohol will do a participatory field research on mangroves as well as the socio-economic conditions of local communities concerned in Maribojoc Bay, particularly those in barangay Upper dela Paz in Cortes town and barangays San Vicente and Dipatlong in Maribojoc, Bohol. The project is entitled, “Re-assessment of Community-Managed Mangrove Forest Ecosystems in Maribojoc Bay”. This will be undertaken in 197.60 hectare mangrove forests duly managed by their respective people’s organizations (POs) through the Community Based Forest Management Agreement (CBFMA), a tenurial instrument issued by the Department of Environment and Natural Resources (DENR). The purpose then is to determine the present state of the said CBFMA areas as well as the socio-economic conditions of the communities concerned as basis in identifying appropriate interventions in the near future. 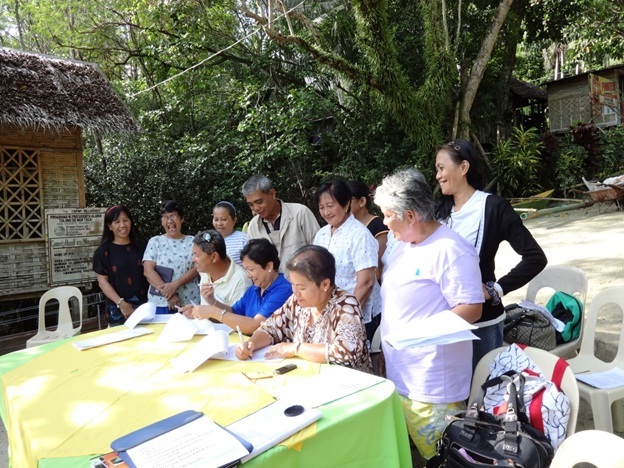 Photo shows the signing of the Partnership Agreement between the Foundation for the Philippine Environment (FPE) and PROCESS-Bohol held at SAVIMA Board Walk in San Vicente, Maribojoc on April 3. Sitting in the center is Ms. Myrissa Lepiten-Tabao, Visayas Regional Unit Manager of the FPE. Flanking her are PROCESS-Bohol’s Executive Director Emilia Roslinda and Director for Operations Mario Limocon. Standing behind them to witness the ceremony are key leaders of the POs concerned, namely: Upper dela Paz Biodiversity Conservation Association (UBCA), San Vicente Mangroves Association (SAVIMA), and Dipatlong Mangrove Planters Association (DIMAPA). Not in the photo is Ms. Ramie Velasquez Debuayan, Program Officer of FPE-Visayas.